Cabbage recipes for you. If you like cabbage or want to go on a cabbage diet. Cabbage is useful for weight reduction and a negative calorie food. Make cabbage a part of your regular diet for it's nutritional benefits. 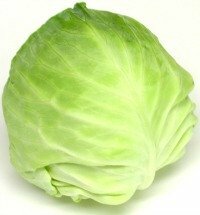 Cabbage is called Gobi (Hindi), and Kobi (Marathi), Kosu (Kannada). Cabbage is cooked by itself or with lentils. is good to eat. Cabbage is used in salads, soups, stir fry recipes. Cabbage is also used to make paratha along with whole wheat flour.It is cooked along with rice and spices. Don't know many recipes using cabbage? Keep reading and you will find many cabbage recipes on this site.